We have links with the following respected organisations which may be helpful to you for further information. 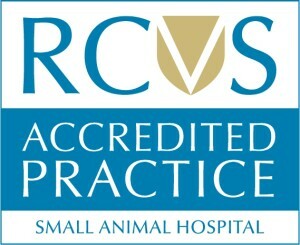 The BSAVA was founded in 1957 as a professional body to serve veterinary surgeons who treat companion animals. Its role is to foster high scientific and educational standards of small animal medicine and surgery in veterinary practice, teaching and research. The British Veterinary Association represents the veterinary profession and helps members fulfill their professional roles. The organization, together with the Kennel Club, runs schemes to help identify and prevent hereditary problems such as hip dysplasia, elbow dysplasia and disease in dogs. 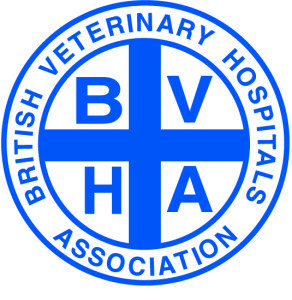 The BVNA came into being in 1965 and is the only representative body for veterinary nursing. Its aim is to promote animal health and welfare through ongoing development of professional excellence in veterinary nursing. Cats Protection is the UK’s leading feline welfare charity. They help around 200,000 cats and kittens every year through a network of over 250 volunteer-run branches and 32 adoption centres. They help find good homes for cats in need, help support and encourage the neutering of cats and help improve people’s understanding of cats and their care. International Cat Care, formerly known as the Feline Advisory Bureau (FAB), is a charity passionate about improving the care of all cats. 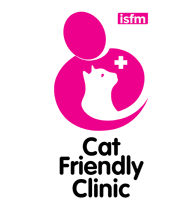 For over 50 years they have been raising the standard of treatment and care provided to cats by veterinary surgeons, boarding cattery operators, those involved in rescue work, breeders and, of course, cat owners by providing the best information possible. They have increased their international welfare work for unowned cats, and their work with veterinary organisations worldwide. PDSA is the UK’s leading veterinary charity, caring for more than 300,000 pet patients belonging to people in need. They provide free veterinary treatment to sick and injured animals through their own veterinary centres and provide assistance to those on low incomes in other areas. They also promote responsible pet ownership. To safeguard the health and welfare of animals committed to vet care through the regulation of the education, ethical and clinical standards of the veterinary profession, thereby protecting the interests of those dependent on animals and assuring public health. Sedgemoor District Council fulfils its duties to pick up stray dogs and enforce dog fouling legislation by employing two full time dog wardens. The GCCF is the primary governing body of Pedigree cats and cat showing in the United Kingdom- the feline equivalent of the Kennel Club. Founded in 1971 the Trust is now one of the top 10 animal rescue and re-homing charities in England, and runs 5 rescue & re-homing centres across the country. Centres are located in Watford, Berkshire, Essex, Cornwall and Langport in Somerset. The Langport branch is one of our most local dog rescue and rehoming centres. The Rabbit Welfare association is dedicated to the welfare and care of domestic rabbits in the UK, providing useful information to the pet rabbit owner. Local branches to help fund veterinary care and provide neutering for the pets of those on low incomes. Rescue of injured and ill-treated animals. Wilberforce Way, Southwater, Horsham, West Sussex RH13 9RS. The Kennel Club was founded in 1873 its primary objective is ‘to promote in every way, the general improvement of dogs’. It is able to offer dog owners a source of information, experience and advice on dog welfare, dog health, dog training and dog breeding. It runs schemes (together with the BVA) to prevent hereditary problems such as hip dysplasia, elbow dysplasia and disease.